How Far is Shreya Sri Homes? Residential land for sale in LP.No 57/2017 Sri Homes, Bhogapuram, Vizianagaram, AP. This land is suitable for residential construction, within a gated community that provides world class amenities. It is a vuda approved layout and has well designed landscape. The property is located at the most prime location in denkada mandal headquarters. It is 10 minutes’ drive to vizianagaram town and collector office, 15 minutes’ drive to miracle software, 20 minutes’ drive to mukkam beach and 10 minutes’ drive from vizianagaram bus station and railway station. Facilities like water and electricity is approved. The locality is surrounded with lush greenery and is part of a very calm neighborhood. Basic facilities like Banks, Atm, Market areas and Medical Facilities all are at close proximity to the property. 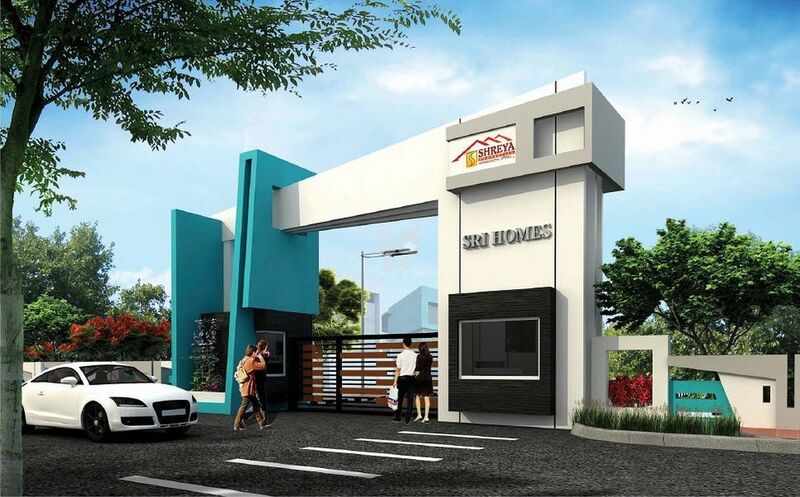 This property is at the most prime location as Sri Homes happens to be at 30 minutes of distance from pydibimavaram, where a number of pharmaceutical companies are placed. Employees working in this area, most likely happen to reside in pedathadivada, vizianagaram near to Shreya SRIHOMES. This property will be a great investment for the buyers. Shreya Properties is a subsidiary to Surya Group which has a decade of experience in Real Estate. Shreya Properties has established itself as a premier residential property developer in the country with significant presence in Visakhapatnam. Our unique customer centric business model has a proven track record of innovation and quality, and has been instrumental in the group’s rapid growth. Transparency in our operations has been an effective strategy for achieving highest standards of customer satisfaction. Our expertise in acquisition of land, appointment of architects and designers, construction, sales to after sales service, has helped us to be counted among Visakhapatnam’s forerunners in real estate development. At Shreya Properties, we believe in setting the highest standards in customer satisfaction with the excellence towards superior quality layout. With all due respect towards the hard earned money of yours, we at Shreya Properties offering the Best Investment for a brighter future of yours. To evolve the professionalism of the Real Estate industry by helping the people build their dream home with our exceptional experience and outstanding customer satisfaction. We will do this by maintaining the highest standards under the VUDA guidelines. We help people by creating an environment where they can use their natural strengths and values to reach their full potential faster and with most valued trust. Our well experienced team are successful and well trained in taking care of understanding your housing needs and guide you towards your housing dream. They understand the real estate business inside and out. They know the tangible skills and they know the nuances of overcoming the discomforts of wrong doing. Simply put, we walk our talk.